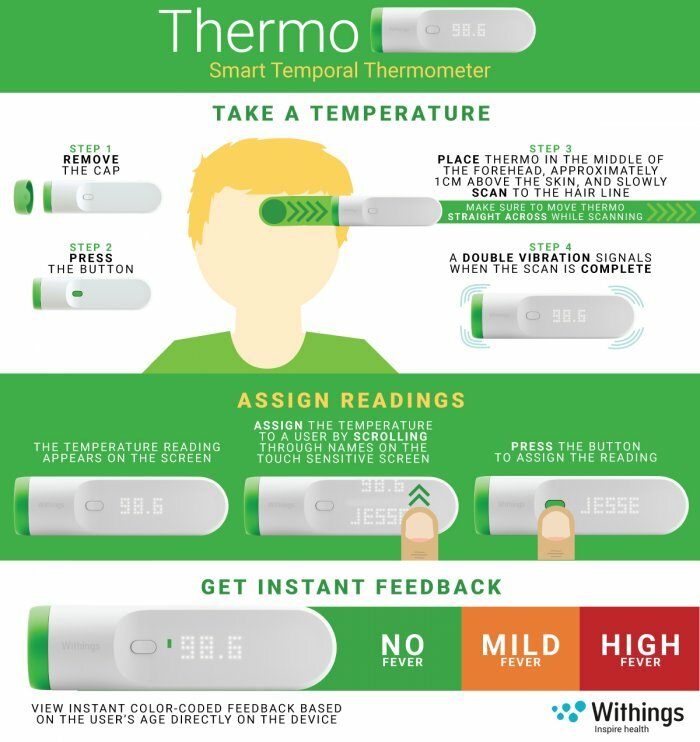 Former French company Withings, now a part of Nokia Technologies, officially presented the new smart and easy to use thermometer simply named Thermo. 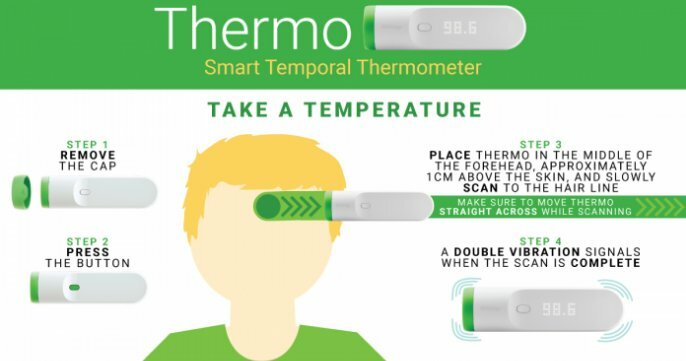 The nicely designed thermometer is able to precisely measure body temperature just by scanning the hair line on the forehead – approximately 1 cm above the skin. This is great for parents whose kids particularly don’t like having thermometer anywhere near their body, or can’t stand still for 10 minutes (if you are using old fashion, but precise mercury thermometer). Thermo is able to do the “air scanning” thanks to the 16 IR sensors placed at the cap of the gadget, that are taking over 4000 measurements to get precise body temperature. Thermo is showing the temperature on its LED display where you can easily assign it to a particular user. Also, data is synced over WiFi or Bluetooth on your smartphone after every measurement where you can easily check it using the specialized Thermo app. If you are interested in Thermo, you can buy it from Apple or Withings store when available for 99,95$. In Croatia you can buy it from the iStyle store for 678,84 kn, also when available.